The issue of internet piracy is one that is both controversial and personal to the many people it effects. The exact definition of piracy on the internet includes those who upload and download copyrighted content without the original author’s consent. Exactly which people and organizations are included under this definition is the topic of much debate, and has partly contributed to the growing consternation over what material the government has the right to deny public access to. 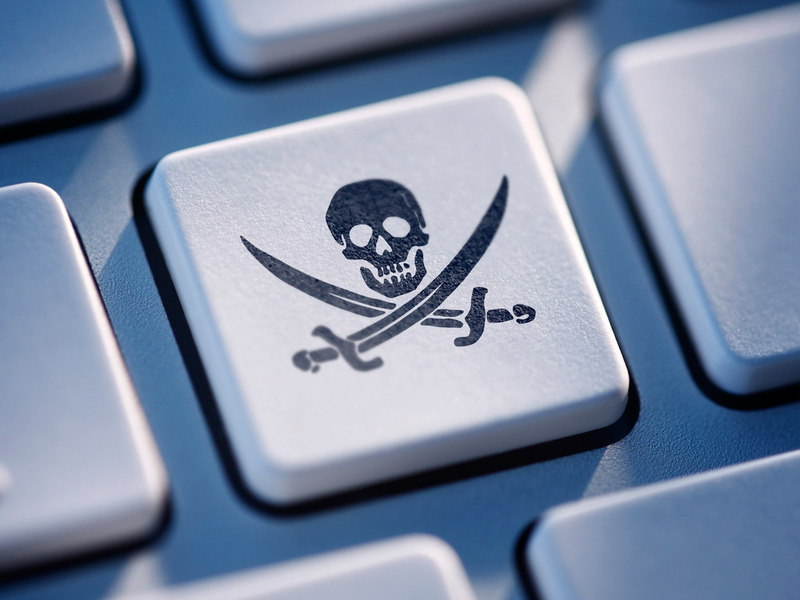 The fight between these so-called hackers and the government has recently escalated with the proposition of several online anti-piracy acts designed to stop the sharing of material online. Those who oppose these acts claim that they censor the internet to an extreme degree, and that they stifle the creativity of others. Supports of anti-piracy acts such as the Stop Online Piracy Act (SOPA) and the Preventing Real Online Threats to Economic Creativity and Theft of Intellectual Property Act (PIPA) state define internet piracy as a clear to theft of the intellectual material of others. They believe that each time someone downloads a song, movie, or book from the internet, they are robbing the rightful creator of the profits from the pirated material. “In 2011, it was estimated that online piracy cost the entertainments industry around $58 billion.” Beyond that even, they point out that that uploading or downloading any copyrighted material without the author’s consent is illegal under the DMCA copyright laws. Proponents of measures such as these believe that such harmful violations must stop, and that the best way to do this is to take legal action against those who are found to have downloaded or uploaded pirated material. Both SOPA and PIPA are aimed at tightening security on sites known to offer pirated material, and to register the information of those who access these sites. Afterwards, it would theoretically be easy to find those users and take legal action. Those who support these anti-piracy acts believe that this is the simplest and most effective way to combat online piracy and its negative effects. There is much more opposition to these measures than there is support for them. The fierce opposition to these acts stems from the intrusive nature of the acts themselves, as well as the effect they could have on those internet sites that have become an outlet for the creativity of the people, such as Reddit and Youtube. The acts would allow the government total access to lists of those who visit websites believed to host illegal content. Perhaps the most hotly debated point of this bill is that it could ultimately result in the end of freedom of expression on the internet. SOPA and PIPA would hasten the censoring of all copyrighted content on the web, forbidding any material not approved by the original author to be made public. Add to that the possibility that such acts would violate terms of fair use and criticism, both of which are rights protected by the laws of the United States, and one can quickly see the numerous pitfalls associated with such drastic measures. This would spell trouble for websites such as YouTube, where undiscovered artists and critics often post videos of themselves singing popular songs or critiquing and opining on material. In some cases, these videos help the discovery of new artists and talent, but with the strict guidelines of SOPA, PIPA, and similar measures these videos could never be legally posted. Message boards and fan sites would also be negatively impacted, as they often contain fan art and other media that, if subjected to acts such as SOPA or PIPA, may suddenly be in violation of copyright. While it is necessary to have some form of recourse against those who upload and download material illegally, it is an undoubtedly slippery slope to start down, and one that requires a lot more research to be taken before it is acted upon. The practice of piracy is harmful to the original authors who miss out on the benefits of their song or movie when it is in essence stolen from them, however, bills such as SOPA and PIPA are too harsh and intrusive to the general public, and it is necessary to find a middle ground on the issue. The cons of these bills would have too much of a negative impact on those who creatively try to make another artist’s content into their own. Those who give credit to an original author and then do their part to improve upon the piece and make it their own while adhering to the guidelines of fair use policy should not be unfairly punished because of those who steal the same material. Until the point a compromise can be reached, it is unfair to pass measures that are as restrictive and invasive as SOPA and PIPA. *SOPA and PIPA did not pass in their initial entry, but both bills are still on the table for future debate. This article was written by Lucas Woodward, a writer for dusk magazine.